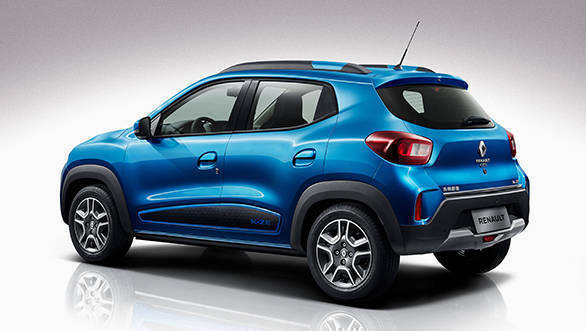 The Renault City K-ZE hatchback, which is essentially the Renault Kwid, however, in the EV form has been unveiled at the 2019 Shanghai Auto Show. The all-new electric hatchback is based on the same CMF-A platform as the Indian Kwid but gets an all-electric drivetrain which boasts a range of 240km. The Renault Kwid EV (City K-ZE) will go on sale in China later this year and is expected to land in other markets by 2021. The Renault Kwid EV (City K-ZE) is capable of charging itself up to 80 per cent within an hour in the fast charging mode. 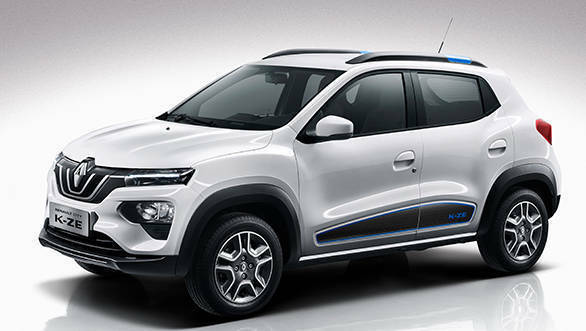 Whereas the standard charger would take up to four hours to charge the Renault Kwid EV (City K-ZE). The manufacturer claims that the EV can be charged using 220V domestic plug charging points. The Renault Kwid (City K-ZE) hatchback has stayed loyal to its concept design that was showcased last year. The overall styling of the EV is similar to the one with an internal combustion engine, however, LED DRLs with low set headlamps and a restyled grille set them apart. The Kwid EV (City K-ZE) also gets a restyled bumper and a set of newly designed alloy wheels. The EV shares the same boot capacity of 300 litres with the standard internal combustion Renault Kwid. However, the wheelbase of the Kwid EV is 1mm longer than the standard car at 2,423mm. 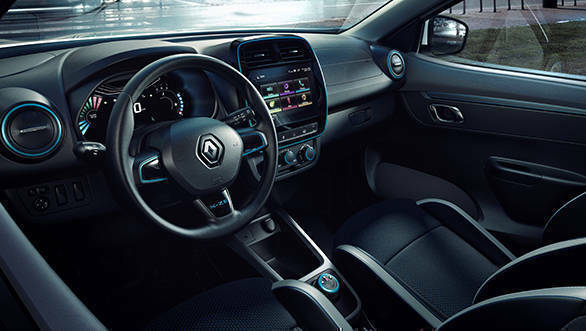 Inside, the dashboard has a familiar layout but inculcates some styling elements such as a different colour scheme for the instrument cluster - to make it stand apart from the standard Renault Kwid. An eight-inch LCD multimedia touchscreen system takes the centre stage on the dashboard. The multimedia system has features such as online entertainment, 4G WiFi and a voice recognition system. The multimedia system can be accessed by the owner's cell phone applications and stay connected to the car. The cabin is also equipped with sensors to control air quality. The sensors evaluate the quality of air in the cabin and switch the circulation on/off between the interior and exterior.